UK-based brand Grace Beauty just launched with a mission: Make makeup more usable for people with disabilities. To start, they debuted with three add-ons you can attach to mascara wands and plan to expand to more products in the future. There are three mascara accessories, all £8, or about $11. The Safe Grip (pictured above) is rubbery and flexible and “ensures better control for all kinds of users” according to Grace Beauty’s site. The Ring Grip is useful for those concerned about losing their grip or having to pick up a tube after it falls on the floor. 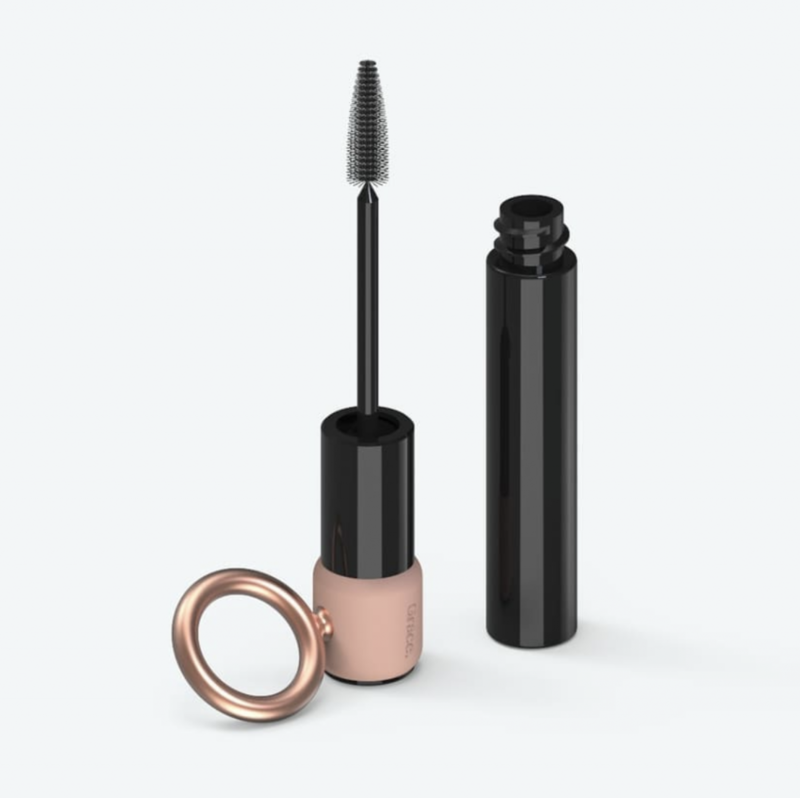 “The rubberband will tightly connect to most mascaras on the market while the ring will be big enough for even the biggest fingers,” Grace Beauty claims. The Square Grip is a rubbery cover that attaches to both sides of a wand and makes it easier to open and hold products fingers may not be able to wrap around otherwise. On the page’s newly started Instagram, followers are already sharing how excited they are to see these accessories hit the market. “I have declining neuro function in the last six months and have given up on makeup. I wasn’t even an actual everyday user before, but this makes me so happy I am crying,” user @vklowry wrote. 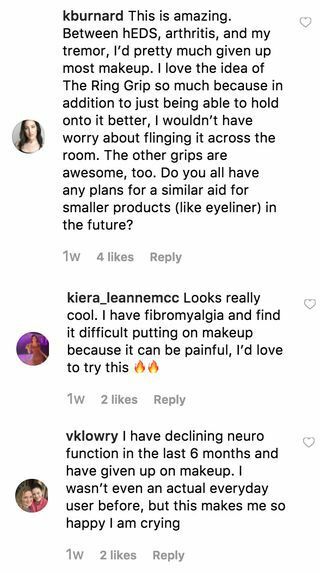 “I have fibromyalgia and find it difficult putting on makeup because it can be painful, I’d love to try this,” user @kiera_leannemcc posted. 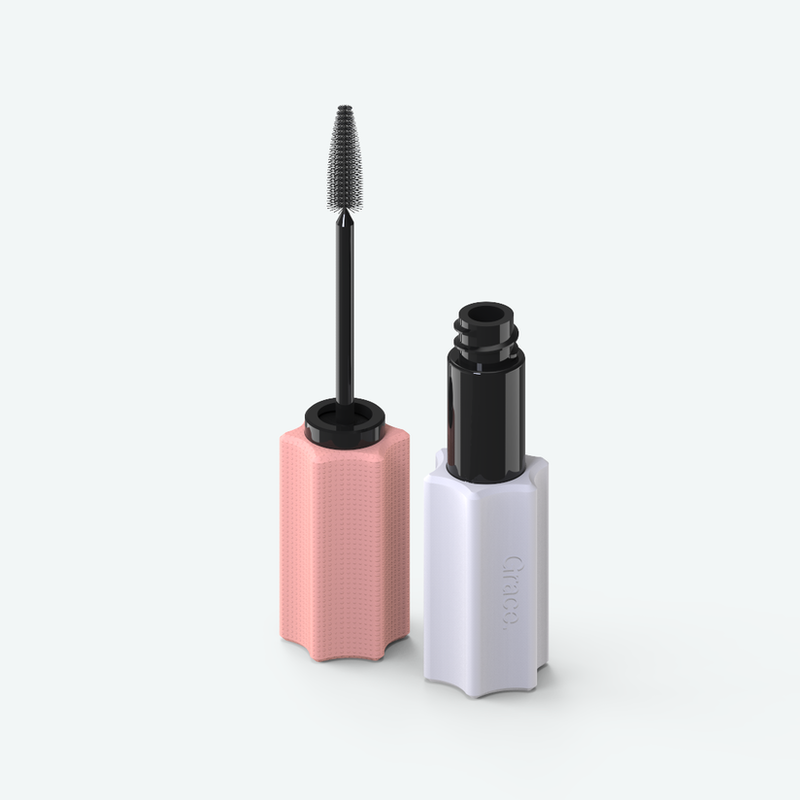 Grace Beauty’s tools are available to pre-order now and will ship worldwide on June 3. It has also called on people to join their community to provide feedback for future products and ensure no one feels left behind by the beauty industry.